This store in DLF Mall Of India, Noida does organic incense sticks, candles, ittars, creams and more. 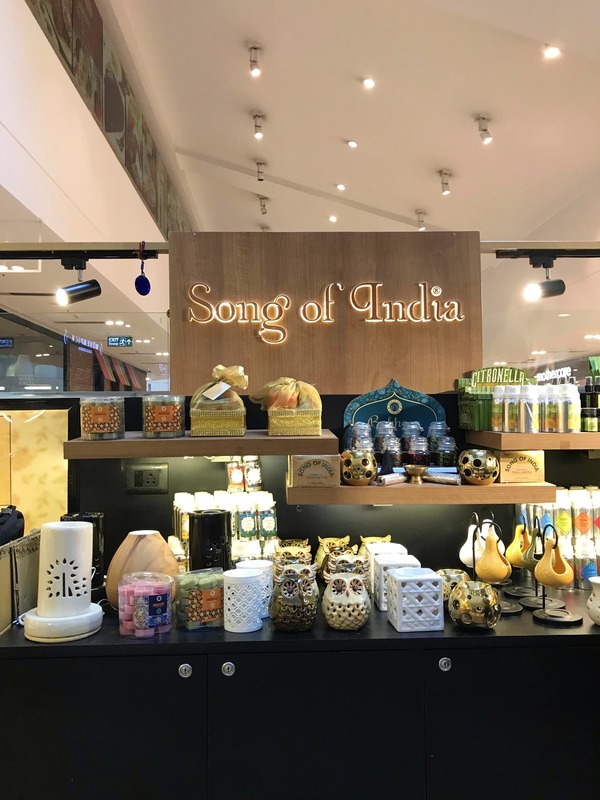 Song of India in DLF Mall of India, Noida is the physical store of a leading, herbal manufacturing company. They have a wide range of products from incense sticks, ittar and scented candles to herbal soaps, oils and more. On the second floor of Mall of India, you’ll probably be able to tell from afar that you’re near this store when you smell the fragrance of this store. If you’re someone who loves candles of various scents, give this store a try. All their products are herbal and organically produced. We particularly loved their collection of ittar. They also have a range of chakra therapy massage oils. If you’re someone who enjoys muscle-relaxing massages, give your next massage session a bit of twist with their healing oils. They have a collection of organic moisturising lotions and shampoos/conditioners. So if you’ve been thinking about giving the chemically manufactured beauty products a toss, this might be a good option for you. They also keep miscellaneous items like room fresheners, incense stick-holders, notebooks, burner boxes, and more. Going herbal is not a great option for some people as they may have unknown and dormant allergies. We recommend you stick to the herbs that you know would not react to your skin type to save yourself from a visit to the doctor later.